Gray’s popularity will remain strong in 2016, as a neutral staple in home décor. However, this year, will be begin to see grays take on some warmth with brown undertones. This creates a comforting and versatile base that coordinates with a number of different color palettes and personal styles. Get this look with the following products available through Carpet One Floor & Home. St. Lawrence by Earthscapes With beautiful designs and textures that so closely mimic hardwood and ceramic, this cushioned vinyl flooring is a long-lasting and comfortable option for your home. Get the warm toned gray look with color 501. Lowden by Laminate for Life The beauty of this value flooring is that it’s engineered to withstand daily living while upholding the authentic look of hardwood. Go gray with this attractive, affordable option in the color Timber Wolf Oak. From white marble tile to white tinted hardwood styles, flooring will experience a white wash this year. Now, we know what you’re thinking… There’s no way white is feasible in my home. But don’t fret, today’s flooring, even white styles, are as stain-resistant as ever. Brighten up your home with these products available through Carpet One Floor & Home. 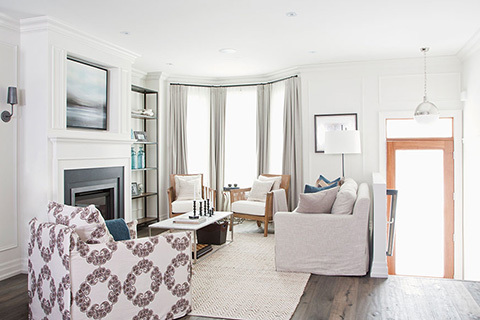 Snowdrift by Carpet One Extremely versatile, there are endless décor possibilities with a beautifully textured white carpet as your home's foundation. We recommend the color White Tail. Northern White Oak by Invincible Utilizing the most advanced milling and finishing techniques, the Invincible™ Collection brings the authentic distinction of hardwood flooring to your home in a product designed to withstand years of use. Lighten up your floors with the color Ash Beige. Basento by Bel Terra This beautiful ceramic tile, waterproof by nature, is a natural fit for your kitchen and bath. By why stop there? With its unmatched durability paired with easy care and cleaning, tile is a great option throughout the home. For your larger living spaces, simply throw on an area rug for added warmth. For a look similar to the photo above, try the color Pebble Gray. For those who still aren’t convinced on white, you can take advantage of a different and darker trend in 2016. Black, dark chocolate and charcoal colored flooring will also be seen this year. Combine dark flooring with light elements of décor and you’ll create a striking look, yet grounded feel within your home. 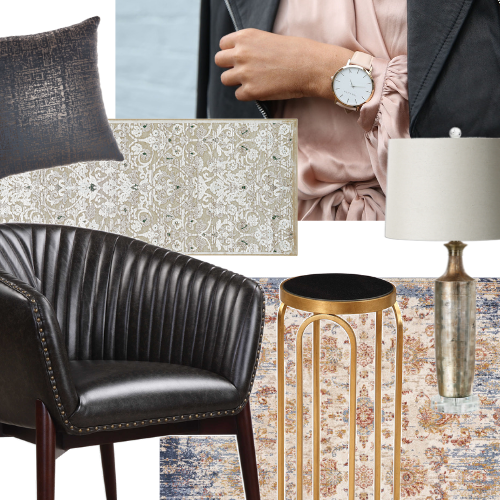 Dive into dark with these products available through Carpet One Floor & Home. Falcon Crest - Hickory by Rustic River The genuine warmth of hardwood is delivered in all its richness, through varying textures, styles and traditional colors. Get a similar look that that which appears in the right-hand image, with colors Rambler Brown or Antique Lantern. Cordova Oak by Invincible H2O A breakthrough in flooring, Invincible H2O luxury vinyl plank flooring provides waterproof protection, outstanding durability, with a high-end handcrafted look. Create a nice contrast to your light décor elements with the color, Habben. Chambord by Tigressa Carpet One Floor & Home's premier all-nylon soft carpet brand, is an easy choice for any choice. To created a grounded feel, go with a charcoal color like Cadet. Inspired by traditional crafts such as weaving, knitting and carving, flooring will be taking a unique turn this year both in the products themselves and with creative installation techniques like mixed width planks. Left-hand Image: Via Style Me Pretty. Add some uniqueness to your home with these products available through Carpet One Floor & Home. Time After Time by Evans Black This patterned carpet is sure to make a statement. Available in a variety of coordinating color combinations, you're sure to find one (or more) that perfectly meet the design style of your home. Hearth Stone by Rustic River This natural finish hickory flooring presents eye-catching color variation, naturally occurring knots, waves and grains. With strong piece-to-piece variation, this hardwood flooring is sure to deliver a handcrafted feel. Not looking to do a complete flooring overhaul? You can still stay on trend by accenting your current flooring with a distressed rug. From Left: Rugs and décor by Surya. Area rug by Zahara.